The International Atomic Energy Agency and Iran last week issued a joint statement in which Tehran pledged to apprise the Agency of "the initiation of high explosives, including the conduct of large scale high explosives experimentation in Iran." In a word: weaponization, the most secretive dimension of the Iranian nuclear program. Tehran's willingness to broach the topic will be hailed by supporters of the current talks as a sign that they're yielding results. Yet Iran has thus far dismissed as "fabrications" evidence of its weaponization work compiled by the IAEA. We'll believe honest disclosures of prior weaponization activity when we see them. More to the point, we've obtained a plausible new report from the Mujahedeen-e Khalq, an Iranian opposition group, suggesting that Tehran has kept active and intact its core team of weaponization researchers. The Islamic Republic's attempts to develop a nuclear explosive device date to the late 1980s, when the regime established a Defense Ministry-linked physics research center in Tehran, according to Western intelligence agencies. By the next decade, according to the IAEA, the regime would consolidate its weaponization researchers under an initiative called the "AMAD Plan," headed by Mohsen Fakhrizadeh, a Ph.D. nuclear engineer and senior member of the Islamic Revolutionary Guard Corps. The AMAD Plan was charged with procuring dual-use technologies, developing nuclear detonators and conducting high-explosive experiments associated with compressing fissile material, according to Western intelligence agencies. 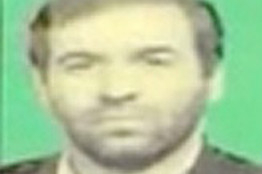 The AMAD Plan's most intense period of activity was in 2002-03, according to the IAEA, when current President Hasan Rouhani headed Iran's Supreme National Security Council before becoming its chief nuclear negotiator.